In 2011, tech giant Apple was granted a US patent to create a mobile-virtual-network-operator (MVNO) platform that would allow wireless network operators the right to provide network services to Apple, which ultimately would then pass those offers to iPhone customers. But it was only in 2014 that the company released the e-SIM functionality that allows customers to select a network operator dynamically, directly from their device. As a technology, eSIM’s functionality is similar to that of Apple’s MVNO and SIM alliance, since it also presents users with all available operator profiles. Unlike Apple’s technology, however, e-SIM enables dynamic over-the-air provisioning once a network is selected. Embedded-SIM (e-SIM) technology has the potential to make getting connected to cellular networks much more convenient, but until now there hasn’t been a consumer-friendly set of specifications for it since its 2013 introduction. That is, until last year, when the GSM Alliance (GSMA) released updated guidelines to add support for multiple profiles and devices (more on that later). Many of the devices currently on the market, like the Apple Watch, are getting smaller, but are still capable of performing a multitude of functions with sufficient processing capacity when attached to stand-alone cellular connectivity. Until now, SIM cards have been linked to a specific provider. Changing providers would mean changing out the SIM. E-SIM technology makes it possible to reprogram the SIMs embedded in the devices. On the consumer side, e-SIMs give device owners the ability to compare networks and select service at will, directly from the device. How Will the E-SIM Benefit Consumers? The cost of roaming has pretty much always been a mystery to most subscribers. Many share in the frustration when traveling abroad of searching for a decent Wi-Fi signal for their smartphone, tablet or laptop device to avoid high data roaming charges from the local network. 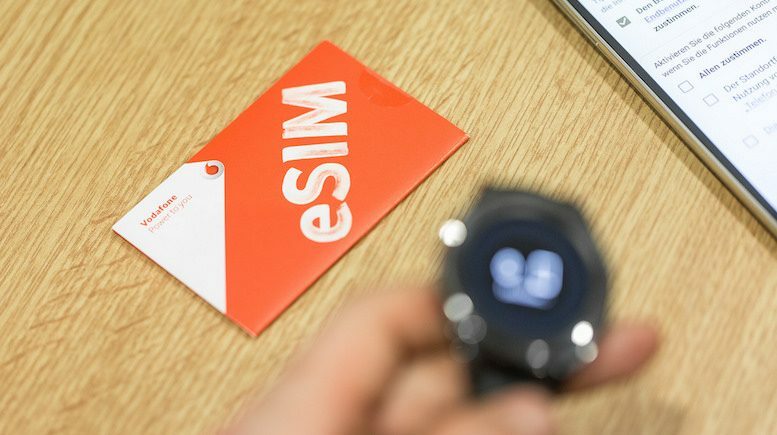 For any person that is traveling abroad the eSIM can provide more flexibility, allowing an easier transition from one network to another without having to insert any other physical SIM cards into the device. This means that you can get an all-you-can-eat data or voice plan, or just go for a more restricted plan by purchasing a specific amount of data without having to visit a carrier’s physical store. What Types of Risk Can Impact the E-SIM? At this stage, I don’t want to get overly techie, but by taking the embedded SIMs (eSIM), and coupling them with eUICC (embedded universal integrated circuit card) technology, we solve the problem with over-the-air provisioning. This makes it so the eSIM doesn’t need to be physically changed out every time new cellular technology is introduced. This makes new cellular technologies, such as NB-IOT and 5G, simpler and more future-proof for global IoT deployments. The GSMA has just finished the data exchange standards for provisioning that will provide the basis for ensuring global interoperability between potentially different MNO deployment scenarios. This includes makers of network equipment (for example SM-DP, SM-SR) and different makes of eUICC platforms. Despite this new definition of data standards, we strongly recommend auditing the provisioning process between these previously mentioned devices and the OSS/BSS systems that support the management of services such as billing and CRM systems, for instance. Maintaining an accurate picture of the subscriber profile — and what services he or she has required — can be a real challenge. It is easier now for over-the-air traded subscriber information to get stranded, “lost,” misidentified, or inaccurately replicated on databases. Despite all the efforts by the GSMA to create a standardized reference architecture that can help accelerate the eSim ecosystem, without having an auditing process for provisioning, data inconsistencies can impact the fulfillment and assurance processes. Ensuring a “first time right” customer experience requires accurate and monitored service provisioning that can be translated into value for money, customer loyalty and better relationship management. Since most of the information for provisioning will be traded at an API level at one point or another, connection security may be attacked. This is the unfortunate reality of the modern era, where the ability to invade a system, network, or API ecosystem is more commonplace than ever. Along with a company’s reputation, millions in potential revenue can be lost in a matter of hours due to poor planning and the lack of a proper security protocol during the provisioning process. Traded information between all the stakeholders include personal data can be exposed to skilled network penetrators and fraudsters, and used against customers and MNOs in ways that are as extreme as they are varied. Let’s say that our ‘traveler’ purchased a 5GB data plan from a MNO in the country he was visiting. He decided to do this in order to avoid expensive roaming charges or relying on spotty access to wi-fi. One of the areas that needs to be monitored and supported by these new business models is the ability to correctly monitor data consumption to guarantee profitable margins and accurate billing for temporary subscribers. This is not a new problem in the telecom industry from a revenue assurance perspective, but we should expect to see a return towards pay-per-usage when it comes to short-term provisioning. I wouldn’t be surprised if in the near future we can say goodbye to roaming, because once you land in a foreign country, you can easily get service from a local provider, while still keeping your home provider. eSIMs will enable remote service provisioning and the entrance of many new players, such as MVNOs, which may further weaken operators’ relationships with their customers. However, it also presents opportunities for extending the wholesale ecosystem, requiring MNO’s take a more automated approach to partner settlement and cost assurance. In general, operators have been seeing little success selling companion devices with cellular connectivity, and connectivity on tablets and laptops. Whether we are talking about pay per usage based on kilobytes, minutes, or by the app used, there are a whole new set of possibilities for creating new billing schemes and added complexity… which means there will be new ways that problems can arise. The introduction of the eSim may crack the problem with over-the-air provisioning and help reduce bill-shock problems when it comes to roaming, but that doesn’t mean there isn’t still room for making a profit. eSIMs can encourage the introduction of end-user device ecosystems that are more modular and richer in variety, but billing accuracy needs to be audited across all customer plans and at the wholesale level for the MVNO enablers. eSIMs give service providers an opportunity to refocus their efforts on companion devices: a technology that can help to improve standalone mobile use cases and activation processes. Shared data plans can, at the same time, lessen consumer reluctance to access data while roaming and provide better plans with flexible upgrade programs. New products and services enabled by eSIM technology are sustained only when they successfully address a market need and create value. All players entering the market have their distinctive strategies based on the needs of their respective target markets and the business plans they address. The right approach to revenue assurance is to support the objectives of the business while also improving bottom-line revenue. This article was originally published on the WeDo Technologies Blog. It has been reproduced with their permission.